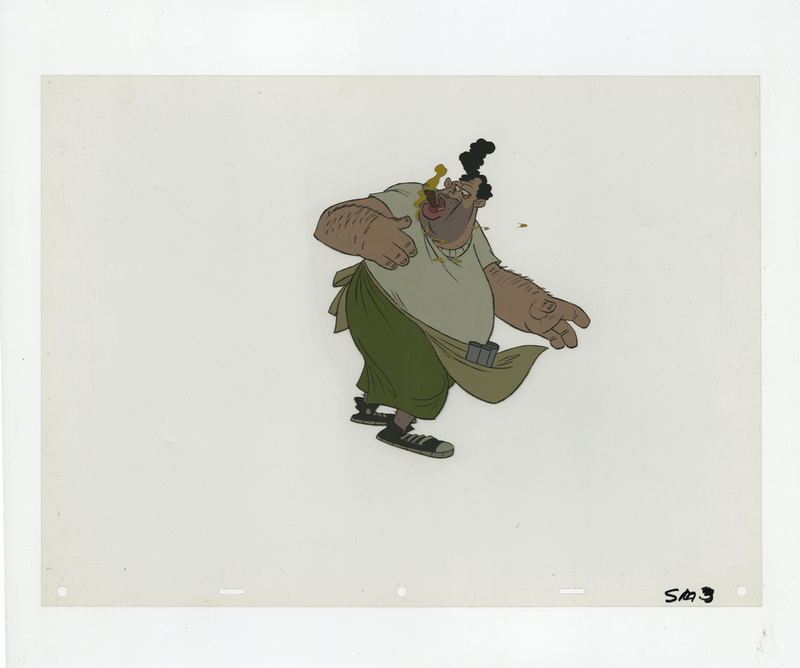 This hand-painted production cel features Old Louie (the Sausage Vendor) from the Walt Disney Studios production Oliver and Company (1988). This fantastic cel features a rare image of a character that really captures the ingenuity and drive that persists in all of us. Louie isn't just a sausage vendor, but rather a physical manifestation of the entrepreneur spirit that resides in everyone. He's also smoking while serving food, a combination of activities that exemplifies the period of the film, as you are unlikely to see any Disney character smoking, and especially a character who is providing sustenance to the people on the streets of the great New York City. 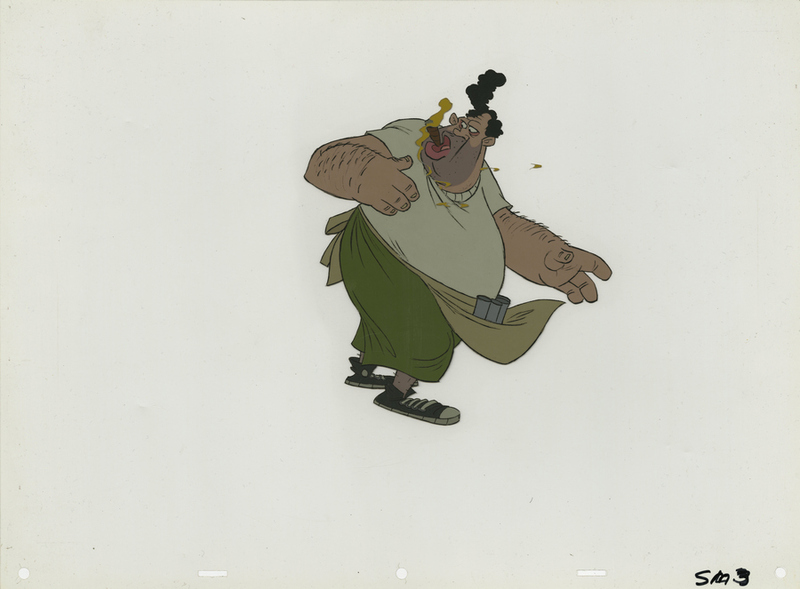 The cel was created at the studio and used during production, representing an actual frame of animation that was photographed and appears in the finished film. The overall measurements of the piece are 12.5" x 17" and the image itself measures 7.5" x 6.5". The cel is in very good condition. Two cheers for Louie (the sausage vendor)!